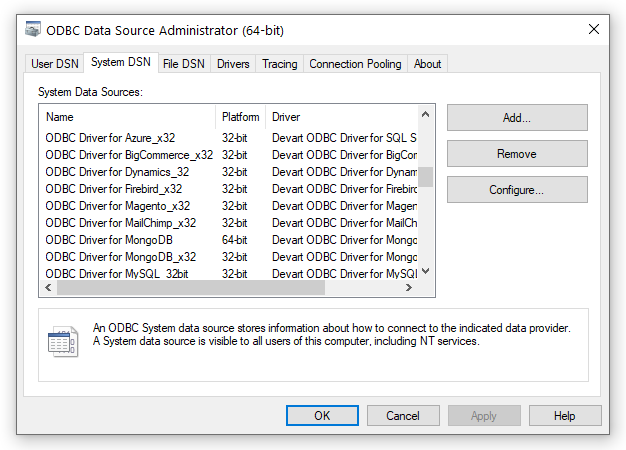 In the System DSN tab click the Add button. 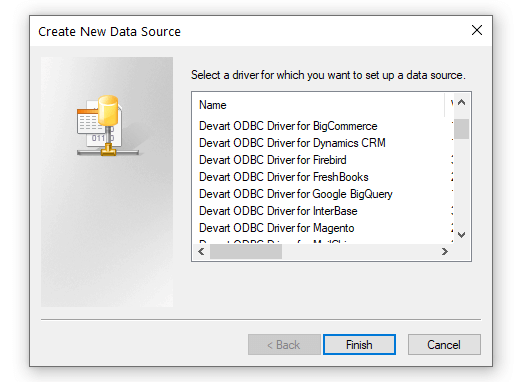 In the appeared dialog box, select the installed driver, click Finish. 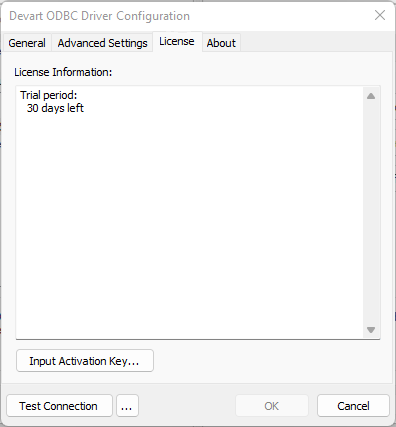 In the Driver Configuration dialog box, on the License tab, click the Input Activation Key button. Copy the activation key from the registration email carefully and paste it into the Input Activation Key edit box. If you have the activation key file, click the Load Key button and browse to it.